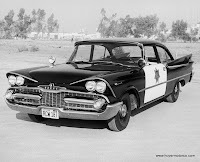 Police cars have the distinction of being among the most important vehicles on the road, as well as some of the least respected. Behind the scenes, the men and women behind the wheels of these rolling billboards of law and order are putting their lives on the line everyday to keep the world safe from killers, thieves, and other miscreants. We’d live in a pretty rough world without their service. More visible, at least to the public, is the police car during traffic enforcement duty. The last thing we need are drivers thinking they can recklessly bomb thorough residential neighborhoods with no regards for the safety of others, and to that end, this is also an important function of the police car. 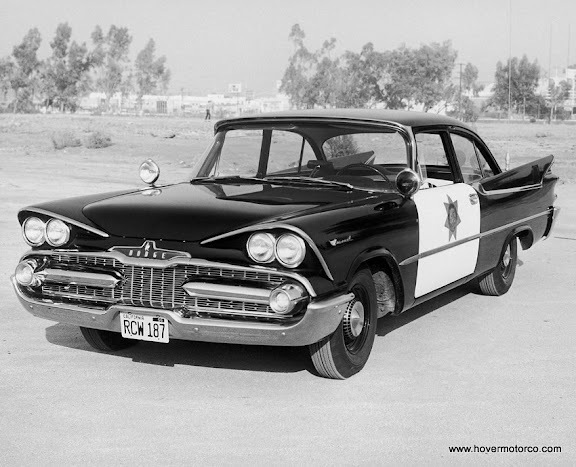 Of course, that noble service can get muddled a bit when you see one of these cars hiding at the bottom of a hill on a lightly traveled roadway, nabbing people that venture five-miles-per-hour over the posted speed limit. A couple of co-workers and I were sitting in our little Overland Park cubicles Friday morning, minding our own business, when we heard of some carbon monoxide contamination over in Merriam. And sure enough, we followed the colorless, odorless cloud to the normally vacant Merriam Plaza, where First West Auction Company was holding an antique, collectible, and classic car sale in the stillborn Circuit City building. It was actually a pretty fun little field trip. There were a couple dozen interesting cars on display. Some of them were really awful, but there were a few that were surprisingly incredible. Just a few years ago, NASCAR and collector car diecast stores seemed to be everywhere. Independence Center, the Great Mall, even Crown Center all had their own dedicated shops, and there were probably a half-dozen independents around town as well. Today, these stores are few-and-far between. But if you're looking for a good one, look no further than RS Diecast Racing and Collectibles in Historic Downtown Belton, Mo. 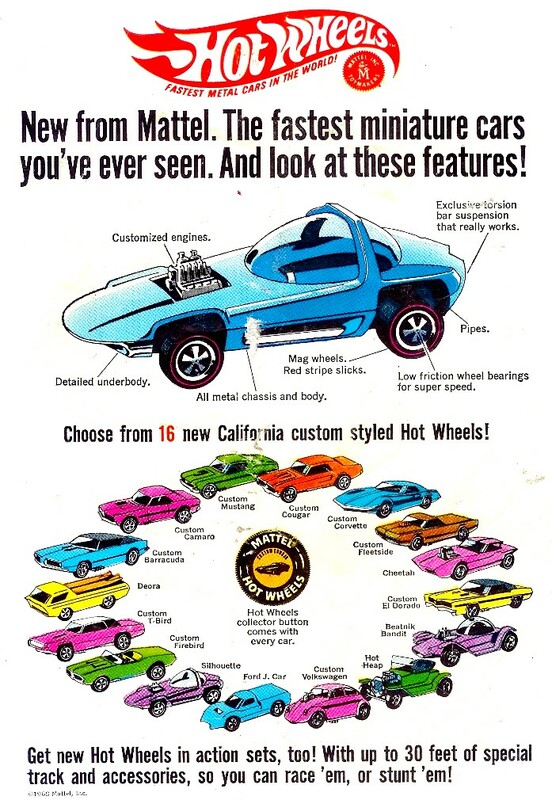 Owner Richard Smith will be happy to show you his extensive selection of common, and not so common model cars from the world of NASCAR, short tracks, muscle cars, and classics. Well, we’re getting very close to car show and racing season here in Kansas City. It has been so nice out a couple of times now that it seems like we should already be having some cruises! 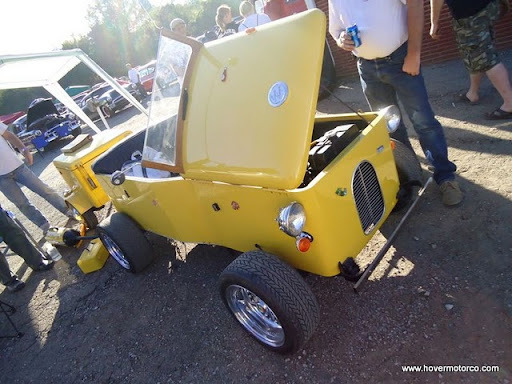 I try to post upcoming car shows, car cruises, swap meets, and car races on a weekly basis either here on the Hover Motor Company blog or on my Examiner page throughout the summer. But I need your help! If you know of a car event anywhere near the Kansas City metro area, you need to let me know about it so I can include it on the calendar. I know about a lot of them, and I pick up flyers when I’m out and about, but I certainly don’t know about all of them unless someone tells me. 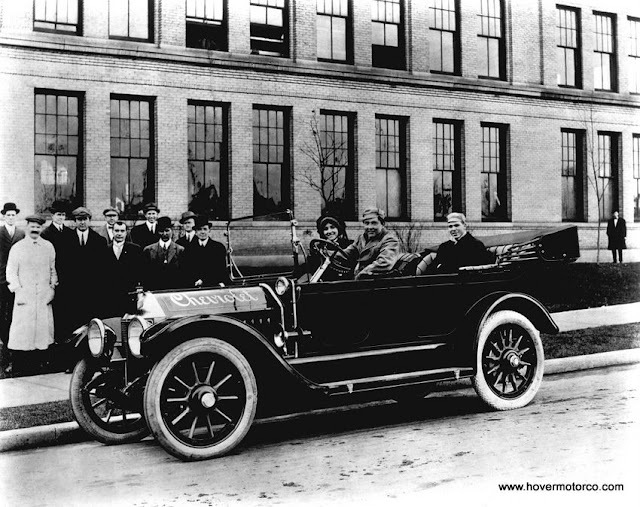 Did you hear that 2011 marks Chevrolet's 100th anniversary? No? Well, let's take care of that right now. 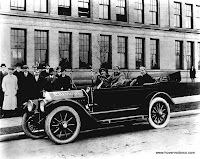 2011 marks the 100th anniversary of Chevrolet. I’m not sure how many people know that. I mean, I’m a Chevrolet nut, I try to stay relatively informed, and I really haven’t seen or heard very much about this. The biggest public acknowledgement of this centennial seems to have been at a press conference at the North American International Auto Show in Detroit earlier this year. I was there. It wasn’t that big. There was a pretty nice video that played before the press conference (that few people in attendance even paid attention to), and they offered free beer to journalists. Otherwise, they introduced a couple variations of the new Aveo replacement Sonic. Happy frickin’ birthday. Like Harry Hogge said, "There's nothing stock about a stock car." You hear that from people all the time. “There’s nothing stock about a stock car.” “Why do they even bother to call them Fords and Chevys?” And on. And on. Back in the early days of NASCAR, stock cars really were just that—stock. Competitors would often drive their race car to the track, participate in the event, and drive it to work the next day. The biggest modification may have been removing the hubcaps. But it wasn’t all perfect in stock car land. Drivers regularly suffered serious injuries and death. The cars were difficult to handle at speed. And even at that, they weren’t going as fast as the risks may indicate. Sure, those old news reels of the early days of NASCAR are great to watch now, but let’s consider what America’s number-one motorsport would be like if it followed the same formula today. 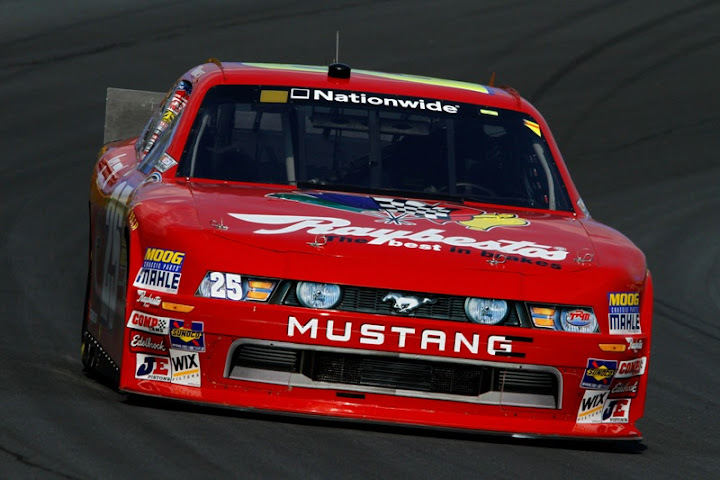 Assuming NASCAR could even regulate the technical aspects of a modern computer-controlled, technologically-advanced vehicle, it would be hard to imagine the close, fast racing we have today. Around here, green cars are, well, green. They’re hot rods, lead sleds, muscle cars, and trucks. They’re what you drive when you love what you drive. The old ones really are green, because they haven’t burned through any new resources or energy associated with their construction since they were new. Weird wonders. Cars that make you go, "hmm"
Anyone who believes car shows are all ’57 Chevys and ’69 Camaros aren’t really paying attention. Sure, you’re going to see the old stand-bys, but most every gathering of vintage iron is going to have at least one completely off-the-wall, extraordinarily unusual ride. Bizarre? Perhaps. Creative? Definitely. Today, we celebrate that alternative world. 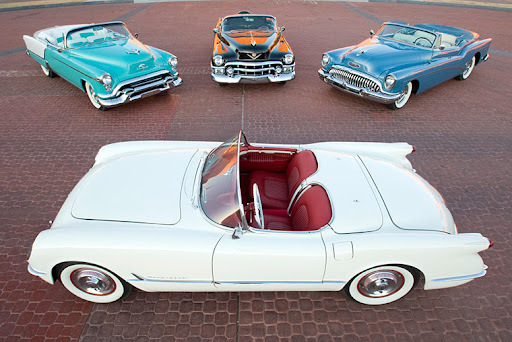 These are cars that you would never think you want, but you just can’t help but be attracted to them. These are the freaks—microcars, radical rats, shorties, home-built haulers—cars that are wonderfully comfortable in their own skins. They are nerdmobiles, but they’re too cool to know it. Editor's note: This article may seem strange for this blog, because it's written in third-person even though it is obviously about my dad and his Corvette. That's because I originally wrote it for a magazine. But before it could get published, the magazine went out of production. I thought it was a pretty good story anyway, so I didn't want it to go to waste. 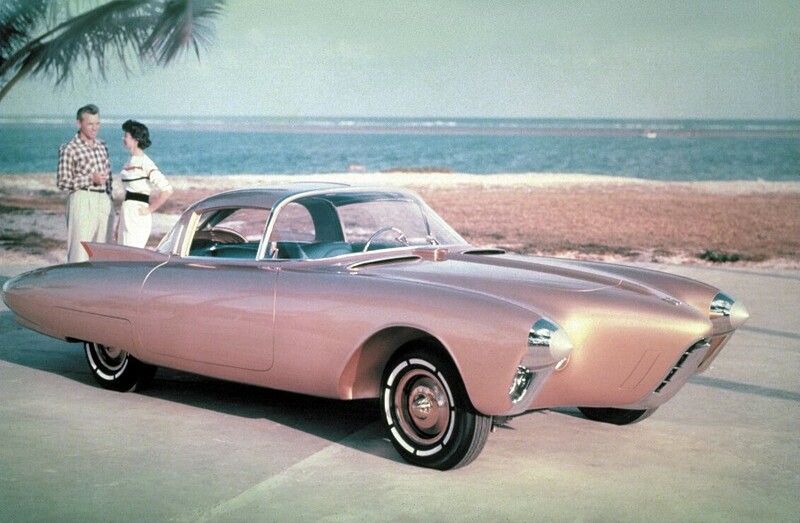 Also, the article mentions the connection with this Corvette and the Omaha Tangier Shriner Corvette Patrol. I am currently working on a new story about that organization, and have some great pictures that I'll share in the neat future, so stay tuned! Jim has managed to keep his Corvette original for 32 years now. That's how long ago he bought it from an Omaha, Neb., used car lot for the princely sum of $4,500. And today, the gleaming white beauty sits in pretty much the same condition as it was purchased. Far from perfect, but with a charm and history that's hard to duplicate at any cost. The Kansas City International Auto Show is in Bartle Hall this weekend, and I plan to go there and take a bunch of pictures for you and post them here. And they'll be OK. Lots of clean, shiny cars. Most of them just like the ones that are already out on the roads right now. 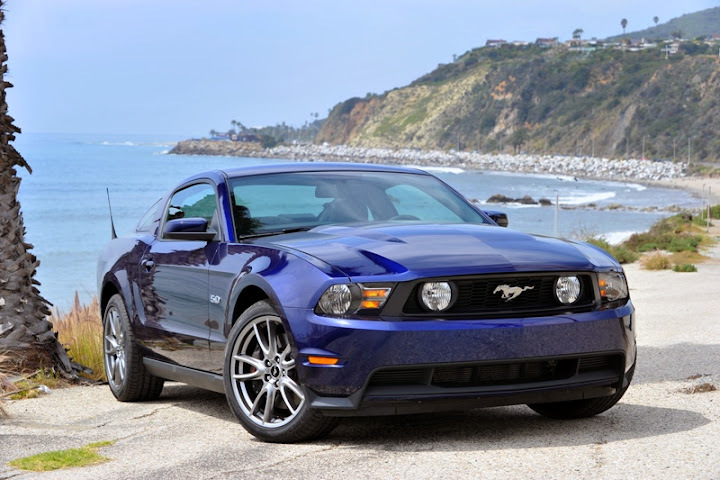 Did you know that there have been some 2012 model-year cars and trucks available for better than a month now? Did you know that Chevrolet's concept car this year during their 100th anniversary at the North American International Auto Show in Detroit, the biggest show of the year, was a slightly modified new Aveo?